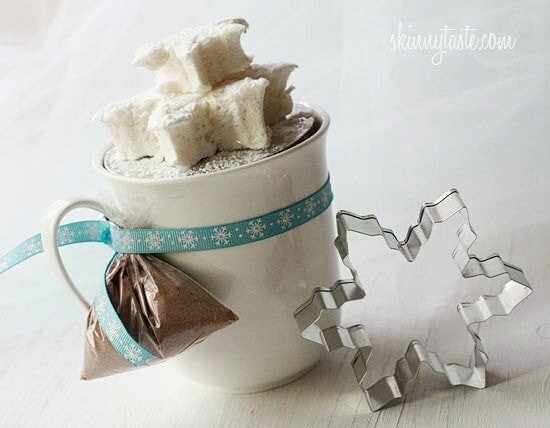 What can be better than warming up to a hot cup of cocoa on a chilly night topped with homemade vanilla bean marshmallows cut out in the shape of a snowflake! 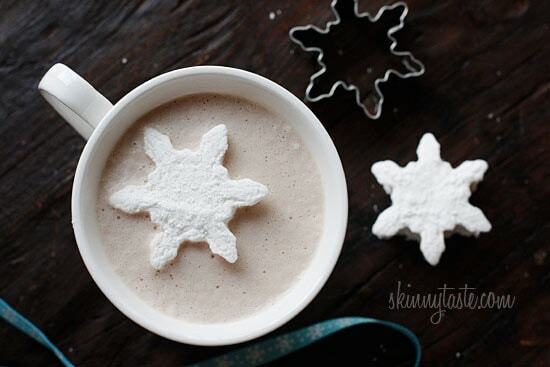 This makes for a wonderful homemade gift for the holidays. I also love making homemade Vanilla Bean Sugar as a gift and also delicious in coffee, over french toast or sprinkled on a scone. 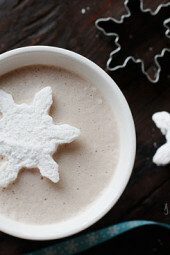 Making homemade marshmallows from scratch with agave has been on my list of things to try for a very long time. I modified the Barefoot Contessa’s recipe and replaced the corn syrup with agave and added some fresh vanilla bean and I just loved how these turned out! 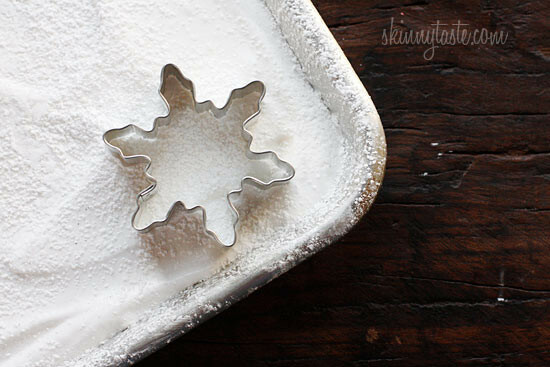 What a fun project, not very difficult to make as long as you have the right tools; a candy thermometer and a stand mixer are a must. 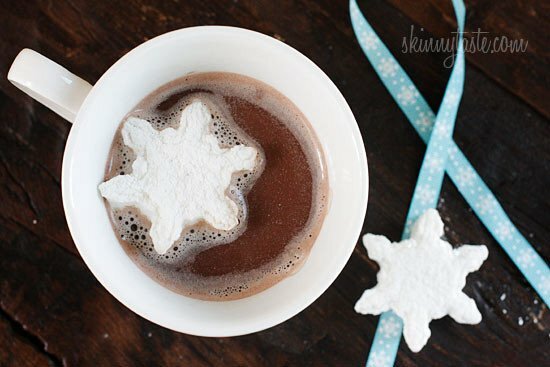 These are perfect to add to your hot cocoa, to make awesome homemade smores, and even turn into a really pretty hand-made gifts for the holidays! I really loved this project! So did my older daughter who is a chocoholic and had an excellent excuse to make herself hot chocolate. 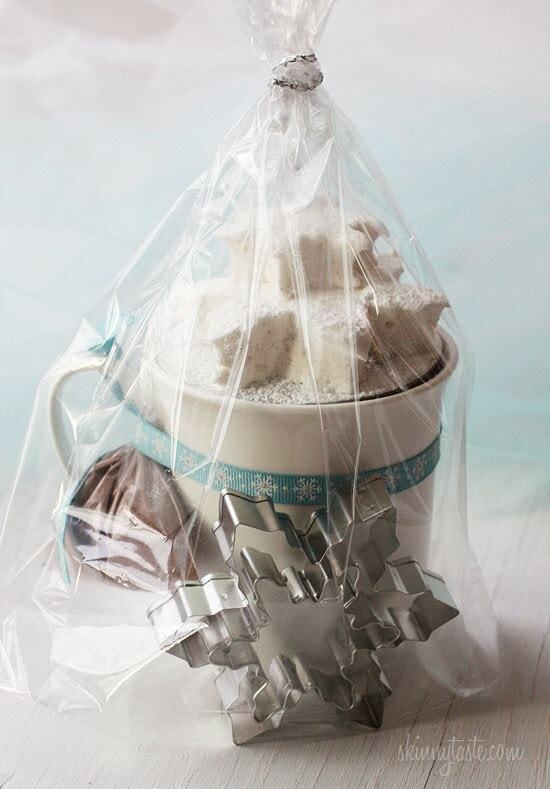 Tomorrow I plan on posting a cute idea we came up with using these marshmallows to create adorable holiday gifts, if you are crafty the possibilities are endless! But these are just as pretty cut into squares and stored in an airtight container. Have fun!!! You and kids will love them, they are very sweet so a little goes a long way! Combine the gelatin and 1/2 cup of cold water in a small bowl; let it sit while you make the syrup. Meanwhile, combine the sugar, agave, salt, and 1/2 cup water in a medium sized saucepan and cook over medium heat until the sugar dissolves. 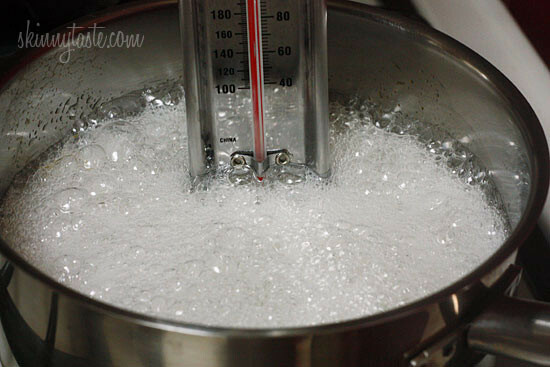 Raise the heat to high and, using caution not to boil over, cook until the syrup reaches 240 degrees on a candy thermometer (careful it doesn’t boil over, this will be hot). 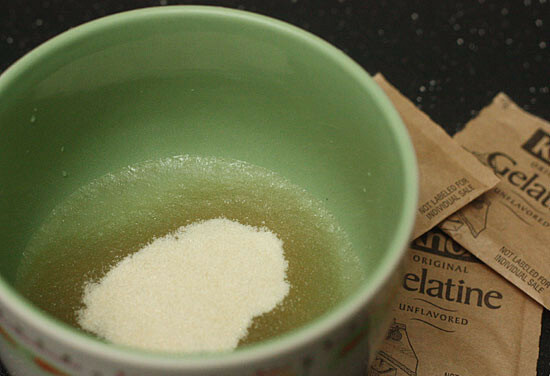 Add the gelatin mixture and scraped vanilla bean into the bowl of your stand mixer. 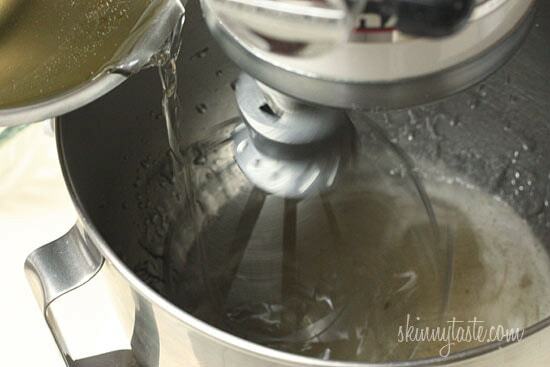 With the mixer on low speed, slowly pour the hot sugar syrup into the dissolved gelatin. Please be careful not to burn yourself with the HOT syrup, do not let the kids do this, you can get third degree burns if the hot syrup touches your skin. 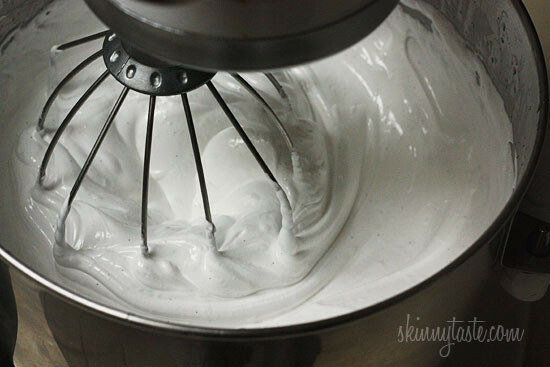 Set the mixer to high speed and whip until the mixture expands and is very thick, about 17 minutes. This can be messy so if you have the protective lid attachment that came with your Kitchenaid, you might want to use that. 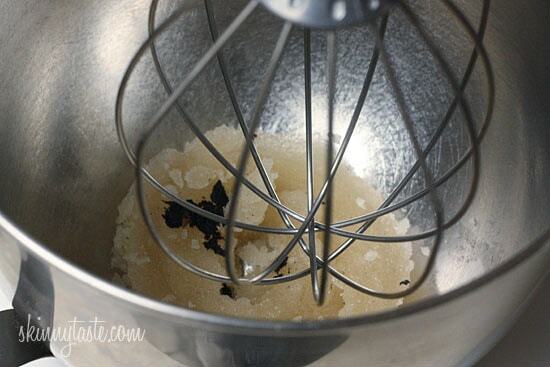 Add the vanilla extract towards the end of the mixing. 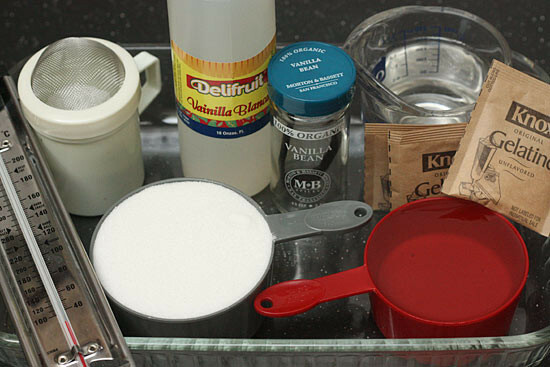 With a sieve, generously dust the bottom of a 12 x 17 jelly roll pan or large glass baking dish with confectioners’ sugar. This is probably the most important step, skipping this step, the marshmallows will stick to the pan and never come off. 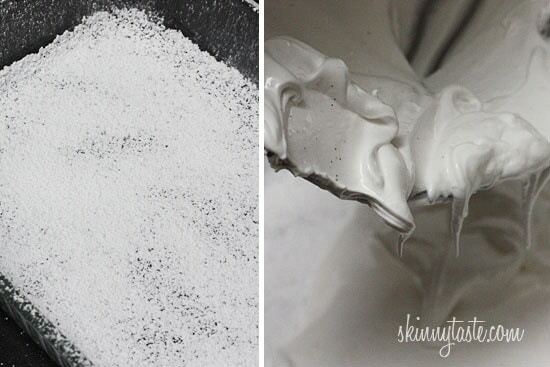 Pour the marshmallow mixture into the pan, smooth and dust with more confectioners’ sugar. Let the marshmallows sit uncovered overnight until they dry out. 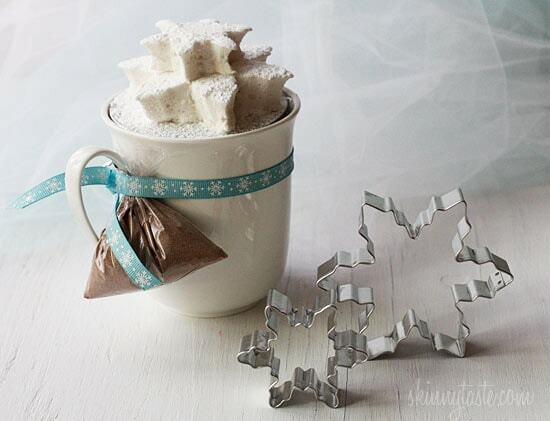 Use a cookie cutter to make pretty marshmallow shapes or turn the marshmallows onto a board sprinkled with confectioners’ sugar and cut them into squares. 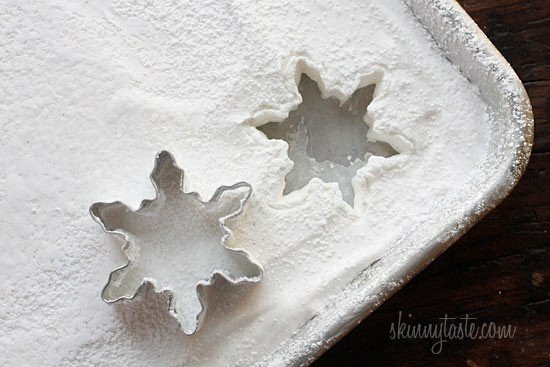 Dust with more confectioners’ sugar to prevent sticking. *Depending on the size of your cutouts, the nutritional info will change. I made these twice, first in a large glass casserole but they were too thick. 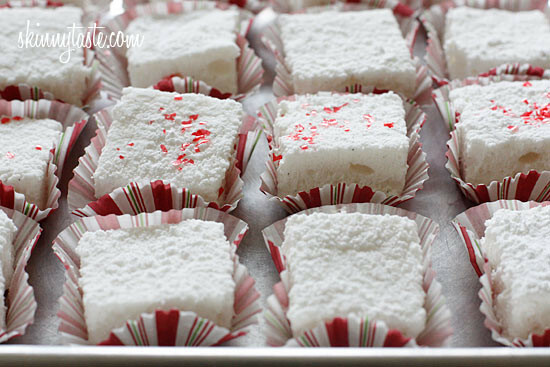 The jellyroll pan was perfect and gave me perfect sized marshmallows for the cookie cutter. Based on that, I got 88 square marshmallows.